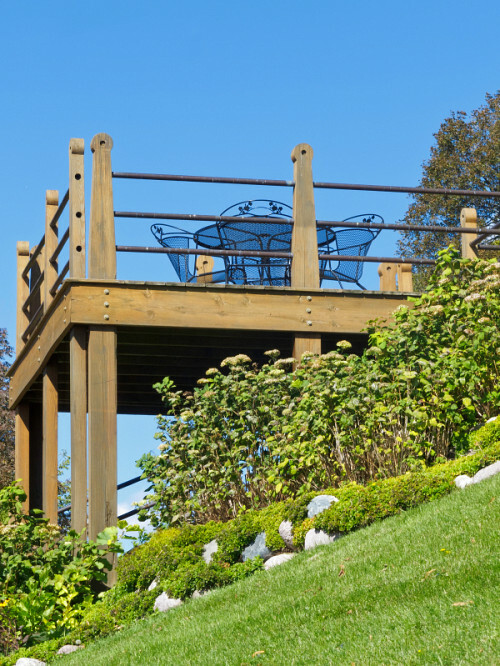 Are you thinking of building a deck this year? Here’s a little inspiration to get your planning process started. Presenting seven super cool custom decks. 1. A natural extension of your home. Take a peek at this deck, cleverly planned to allow natural flow from the house interior to the great outdoors. It gives an active family plenty of room to spread out. 2. Outdoor room with a view. Wouldn’t you just love to relax on this deck, gazing out at the lake … or the misty mountains far off in the distance? 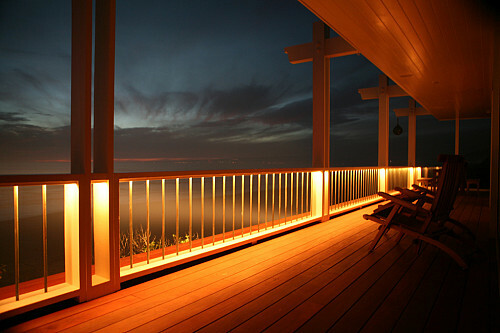 Custom decks can be designed to highlight a magnificent view. 3. Sun spot or shady haven. 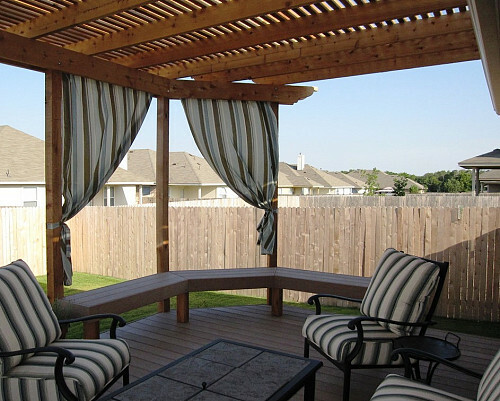 How much (or how little) sun to enjoy is totally up to you, when your deck comes equipped with a handy sunroof and stylish -- yet weather-resistant -- outdoor drapes. 4. Pool deck to optimize an undersized yard. This stone deck, built by Atlanta hardscapers, totally transforms a narrow area. 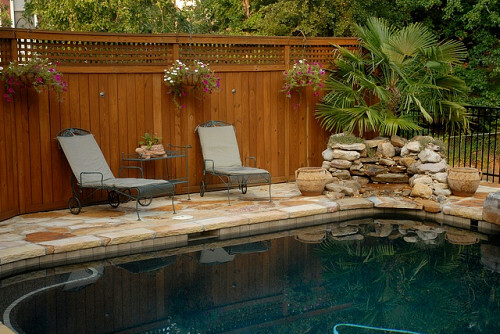 If your yard is small (or mostly taken up by a pool), get more usable space by adding a deck around its perimeter. 5. The ultimate place for a party. 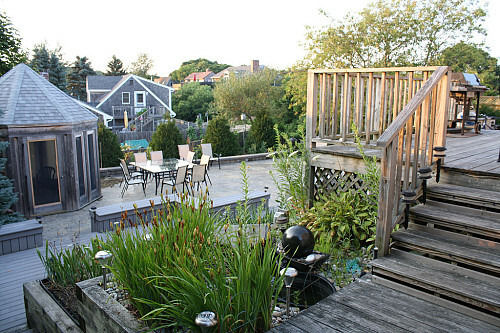 Here’s a multi-level deck in Provincetown, MA, which offers you and a few dozen of your besties an enticing space with room for barbecuing, mingling, and maybe even dancing in the moonlight. 6. Fabulous fix for an awkward slope. Clever custom decks increase usable outdoor space on steeply sloped properties. Install a storage area underneath for your grill, patio furniture, and similar seasonal items. 7. Catch the breeze – and an awesome sunset. 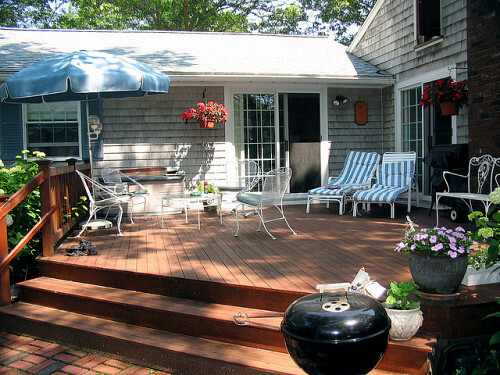 Making the most of your property’s natural features is one of the many advantages of custom decks. Consult with a contractor about the best deck design for your home.